A report came out recently on PR professionals, which Gil Rudawski then wrote about for PR Daily. 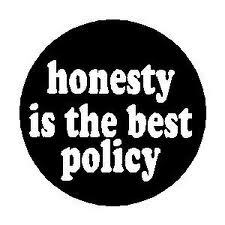 It is about PR Executives not in fact being as unethical and dishonest as is the stereotype. I have to say I am glad to see this. Thought it seems like it should be a bit unnecessary to need to do a study to prove this, it is validating to hear. As someone who has always prided themselves in being honest, it was always one thing that slightly bothered me that in telling people I was in PR they would respond with a comment that inevitably had something to do with PR just being good lying. Luckily, with the wonderful clients I work with, I don’t often have to deal with issues of ethics, and I don’t feel pressured into dishonest strategies. It has something to do with working mainly with restaurants, and a couple non profits who I truly believe in, that makes it easy to avoid issues like these. Yet, I can definitely see where they would come in with high-powered corporations and companies that may not necessarily always be striving to do good in the world. Yes, it’s easy to say that I would simply never choose to work for, or represent, a company like that, which would make it easy to never get in a tricky ethics situation. I never would work with a client that I do not believe in 100%. But I know people often fall into jobs like that and find themselves in these situations. It is nice to hear that as a whole, PR professionals, no matter what their industry or background still fight to uphold their values and honesty. Because really getting a clear and honest message across is what PR is all about. I recently tweeted about an article that I found very one sided and skewed toward the obvious angle the writers were going for, without including a lot of facts that I happen to know to be true and a real part of the story. Someone responded asking what I, as a PR professional, would present differently. I responded that the truth is always most important, and truth only can be shown by examining every side to a story. Without showing every side, a story is misleading, because many readers will take it at face value and not know to look into the other parts that may be missing from that specific article. They commented back to me that my response was “Ambiguous, confusing, and self contradictory. In other words, PR.” Ouch. I was personally offended by this, not only because I don’t think there is anything ambiguous or confusing about the fact that a story should be examined from all sides (and in fact, I think most educated people would agree with me on that- it’s not even really a matter of opinion), but the fact that they found ‘ambiguous’, ‘confusing’ and ‘self-contradictory’ to all equal and sum up PR itself. Clearly this person did not understand what I was saying (though I was pretty clear!) and does not understand PR either, so I did not let it get to me too much. But the fact is, there are tons of people who do not really understand PR. Many people don’t understand what we do as PR professionals or the purpose of PR itself. Because of this, it’s easy for them to get confused and believe that we are doing something shady or dishonest. And that is the problem. And it definitely doesn’t help when some companies pressure their PR people to make questionable decisions or unethical moves.